One of my favorite things about the digital transformation of agriculture is that it’s never been done before. 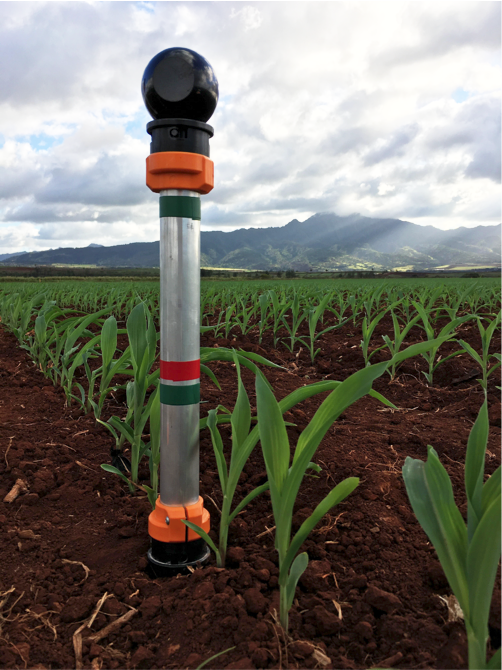 Everywhere you look, farmers, agronomists, engineers and researchers are forging new ground and discovering new ways to make farming operations more predictable, more manageable and more efficient. In January, Climate was the first digital agriculture company to announce a detailed roadmap for our innovation pipeline. For us, the formula is simple: people and technology are the two engines that propel our company – and our culture is the catalyst. To bring new product features and enhancements to life for our customers, we rely heavily on a robust field-testing network. Together, our Climate Research Farms and Partner Network represent the most technologically advanced broad-acre farms in the world. They’re our testing ground for everything from novel sensor technology to real-time geospatial imagery analysis – all focused on delivering insights that help farmers optimize their key farming decisions. Increasingly, our farms are also becoming incubators for collaborators and partners seeking to prove and refine their products and join the Climate FieldView™ Platform. At Climate, you may have heard us talk about “feeling the pulse of the land in the palm of your hand.” It’s the experience we seek for our customers when using the platform for their farming operations. We take this metaphor all the way back to where our technology is first dreamed up, discovered and tested on our research farms. While the farms may look ordinary at any given point in the growing season, we’re collecting more than 250 layers of high-definition data to feed our algorithms and to build new digital capabilities for farmers. Think about that for a moment . . . 250 different data layers generating billions of data points for every acre across every field. It’s a gigantic data set that we blend with partner data to build new and enhanced capabilities for farmers. The farm-scale research model we’ve put in place across the United States has another benefit for our customers and our platform: customization. In fact, in our 2016 growing season, we could account for the unique growing environments across 60 million acres of US corn. Research of this magnitude is something that’s never been attempted or achieved! This broad dataset is a critical component to delivering on our promise to customers. In addition to discovering new science, we also use our research farms to enhance our current products. Coming off of last fall’s harvest, for example, we have new fertility and management zone findings to share. The Climate Research Farm program is the foundation for R&D at Climate. Our vision for our customers is a single platform product – where they can run any equipment, plant any seed, apply any fertility program and utilize any crop management practice. To help make this a reality, we’re building an entire innovation ecosystem and collaborating broadly with partners who develop their own sensors and imaging technologies and choose to host them on the FieldView™ Platform. Importantly, a farmer’s data fully centralized on our platform is what creates the most value at the farm level. What’s amazing to me is that, in many ways, we’re still at the tip of the iceberg of what I believe digital agriculture can ultimately offer farmers, consumers and the environment. But for today and our current R&D pipeline at Climate with more than 35 individual projects in development, I hope I’ve offered you some visibility on how we’re approaching it and given you a glimpse into the magic – and elbow grease – making it possible.